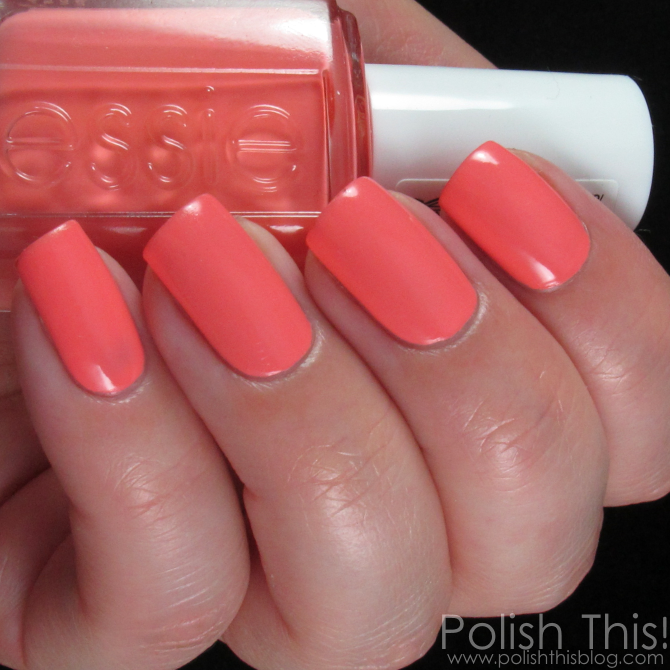 Essie Summer 2015 Peach Side Babe Collection - Swatches and Review - Polish This! 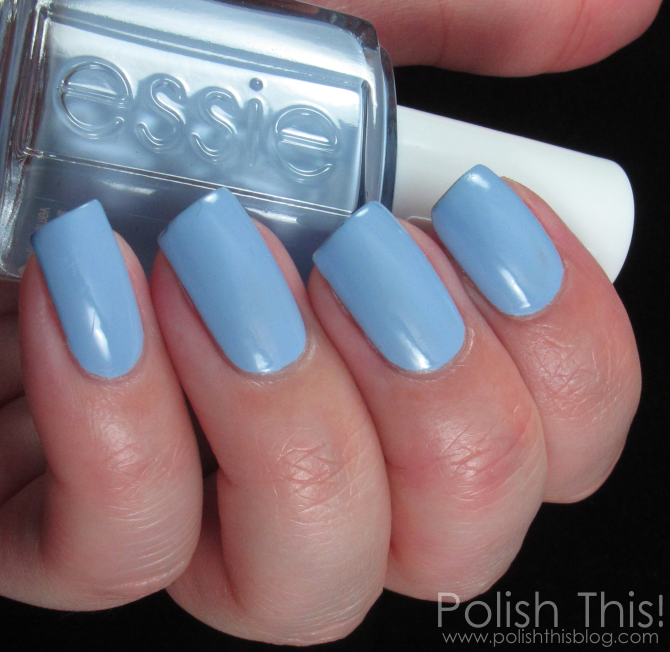 I'm a bit late with this but I'm going to share my swatches of Essie summer 2015 with you anyhow. I'm of course hoping that there's still summer left as it feels like the summer hasn't even started here in Finland because of the weather. Maybe we'll have some hot summery days in August (*fingers crossed*). At least I'm pretty confident that it will be sunny and hot hot hot in Barcelona where I'm going soon! 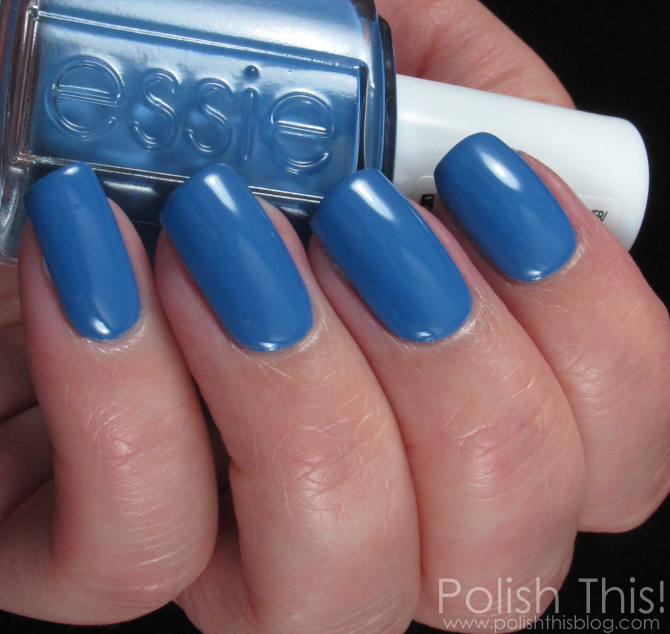 Maybe I can find the perfect weather to wear some of these polishes from Essie Beach Side Collection there. I got the whole collection for review and mine are again those Finnish/European version Essies with the wide brush and possibly a tad different ingredients and formula than the US Essies. Chillato is a pale yellowed pistachio green creme. I've read that people have had issues with the formula of Chillato, but mine was fairly easy to apply. I used three thin coats and those gave me full coverage. I'm quite sure that this would be difficult to apply with the thin Essie brush, but thankfully I have the wider brush version, so it wasn't hard at all to apply it. 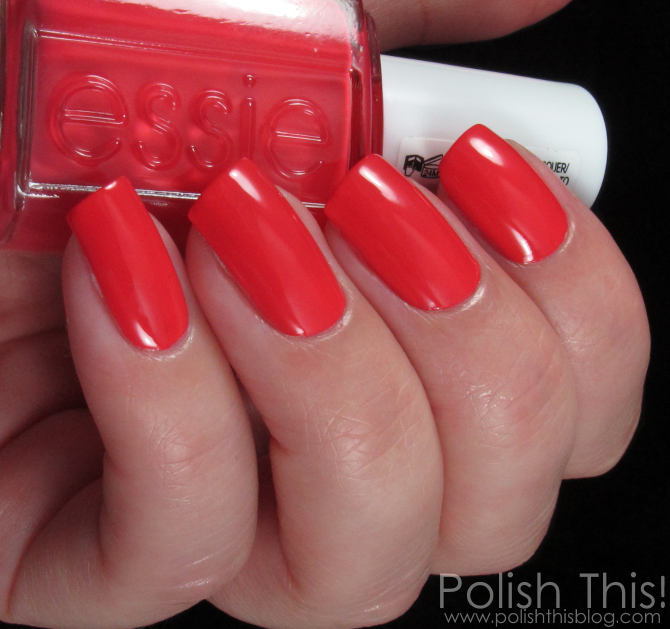 This was infact a surprise favorite of mine, I really loved the fresh look that this gave on my nails. It looks quite yellow on me, but for some reason I didn't even mind that! I'd say that this is definitely more of a spring shade for me, but somehow it still works as a summer color just as well. Peach Side Babe is a peach creme that looks almost like a light coral or something like that. It's a beautiful lighter shade that isn't pastel or chalky or anything like that. It's a bit streaky so I would definitely recommend using three thin coats if you are going to wear this alone. I was going to use this as a base for nail art, so I went with just two coats and a coat of top coat. Pret-A-Surfer is a slightly dusty blue creme with pretty great formula. This is pretty much an one-coat wonder though it did use two coats here just to be safe. It's a beautiful color and definitely a must-have for blue-lovers. Private Weekend is a bright white with subtle shimmer. Oh man, I was so hoping that Essie wouldn't do these invisible shimmers any more. If there's shimmer in the polish, of course we want to see it on nail too, right?!? I get that adding shimmer might make the formula a bit better than if it was just a regular creme, but if I'm promised shimmer in the bottle, I really want to see it on nail too. The white base in this one is so bright that it really makes the shimmer disappear almost completely. This would have been such a beautiful color if the shimmer was just slightly more visible. I used three coats here, it was a quite streaky. Salt Water Happy is a pale light blue creme. It's an unique shade with a nice formula. Usually pale light shades like this have at least somewhat difficult formulas, but this one was quite easy to apply and it needed only two coats for full coverage. Sunset Sneaks is a bright crimson red creme. It's not a true red, weirdly enough it looked a bit orange on me, though I'm quite sure it infact has some pink in it. Either way I think this is more wearable even for those who don't like to wear true bright reds. I really like the cohesion of this collection, the shades look like they go very well together and it would be so easy to combine any of them or even all of them for some nail art. This collection didn't really feel so summery to me at first glance, it rather looked like a spring collection. Then again, I do like the fact that Essie did come up with something different for this summer and now that I've tried all the shades, I could see my self wearing them all easily as summer colors and majority of them are actually pretty perfect summer shades. Surely they aren't really anything that we haven't seen before, but most of them are still very much worth having. The two blues, Salt Water Happy and Pret-A-Surfer are definitely must-haves from this collection. They are gorgeous shades and have really nice formula. Peach Side Babe is another hit for me and surprisingly I loved Chillato very much. Sunset Sneaks could be the perfect pedi color for summer. Private Weekend is the only one that gets a pass from me because of the disappointingly unvisible shimmer and because the formula wasn't really too great either. As this is the summer collection, these have been in the stores for a while already, so you should head out and get yours if you want. Which one of these is your favorite? Do you guys have any tips regarding our trip to Barcelona: what we should see or do, where we should eat or shop or anything at all? I'd be very happy to hear if you have any tips at all! Toi eka on aikas herkku! Chillato is my favorite one. Chillato is such a pretty one!